Residents in New Hampshire continue to see increases on the cost of their electric supply and with a simple switch, could decrease the their electric bills dramatically this summer. New Hampshire residents see continued increases on their electric bills and with a little research, a simple switch can add up to a whole lot of value. Netflix has more than 45 million subscribers in the United States. Customers pay a recurring subscription service to stream a plethora of movie choices using almost any device – a feat unmatched in their industry with little competition. Now, imagine there was a company that provided the exact same service as Netflix. The user experience would be exactly the same. The choices of movies and programming would be identical. The delivery method across devices wouldn’t change. The only difference? This company would cost 43% less than Netflix. Many of us get caught up in the inertia of paying our subscription based services. Somewhere in time, we enrolled into a monthly service because we thought it was a great deal or essential to our daily life. We pay these recurring costs without giving a thought to do five minutes of research for a better price. In the case of electric suppliers, New Hampshire residents do have a choice to audit the cost of their electricity. In 1996, New Hampshire legislation decided to open the energy market to competition for electric supply. The idea was to allow 3rd party electric suppliers a chance to compete on the cost of energy and gives New Hampshire residents a chance to be in full control of the price they pay for their electricity. On July 1st, 2016, Eversource in New Hampshire, officially raised their electric supply charge for all their customers to 00.1095¢/kWh. Meaning, if you are a customer of Eversource, you are now paying an almost 9% overall increase for the electricity you use – an increase that has risen in only the last 6 months and changes twice every single year. These prices are based on several market and seasonal variables and are a broad approach to supplying all utility customers with steady and usable power. 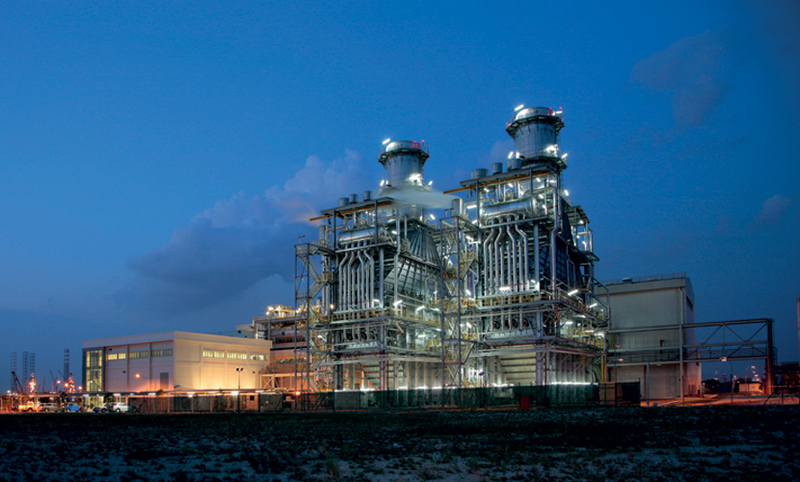 Third Party suppliers, like Town Square Energy, have a different method when it comes to purchasing power. Due to the disciplined approach to purchasing power at a lower cost, Town Square Energy can provide significant value to their customers over the utility. With the increases announced by Eversource, shopping for a new electric supplier can benefit anyone who is a current customer of Eversource (PSNH). As an example, if you use 1000kWh monthly (a very typical family home), you would be paying $109.50 for the supply portion of your monthly electric bill based in the current standard price set by Eversource. Town Square Energy is currently offering a summer electric rate of 6.25¢/kWh which, in the example above, would cost you $62.50 for the supply portion of your monthly bill. The math can be applied to every single resident in New Hampshire that pays an electric bill making Town Square Energy one of the largest, potential value-adding companies to the state of New Hampshire. The state of Connecticut is a perfect example of the value Town Square Energy can bring to any resident paying an electric bill. In 2015, the Public Utility Regulation Authority (PURA) released a report highlighting the savings enjoyed by customers using a third party electric supplier. 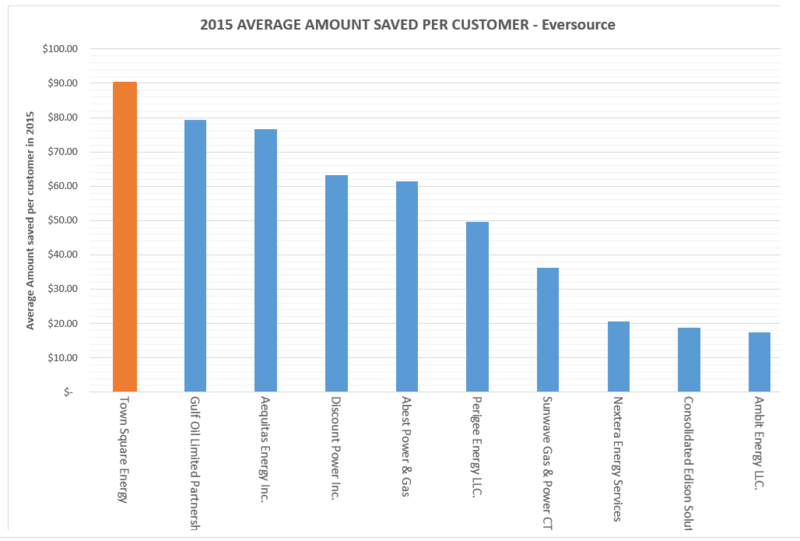 As it turns out, Town Square Energy customers, on average, saved more money on their electric bill than any other supplier. Savings that added up to $1.6 million in 2015. With the increased supply costs and less overall competition, New Hampshire residents actually have a much higher potential benefit than residents in Connecticut. Unfortunately, industry awareness in New Hampshire is lacking and residents simply don’t know companies like Town Square Energy even exist or that they have the power to choose their electric supplier. Switching to a new electric supplier is easier than you think. Your new rate can take effect with some simple information such as, your service address and utility account information. This information is used to alert the utility that Town Square Energy is now purchasing your electricity on your behalf. There is no disruption to your service and Eversource still maintains the power lines and grid related services, all that changes is the rate you pay for your electric supply. All information is secure and, like all third party suppliers, Town Square Energy is licensed by the state of New Hampshire to provide alternative energy prices to consumers. Town Square Energy is a licensed 3rd party electric supplier in the state of New Hampshire offering alternative electric rates to all residents living in the designated service area. Please feel free to contact J. Scott via e-mail: jscott@townsquareenergy.com with any questions or comments you may have regarding this article. Receive a free and no-obligation electric rate quote for your home today by calling 1-877-430-0093.